It’s a blessing to be living in Ibiza. It wasn’t so much about me choosing Ibiza – Ibiza chose me. It’s an island of bohemians, creatives, artists and individuals and Ibiza accepts you as you are and you don’t have to conform to anyone else’s vision. I feel that I can express my own originality here. Ever since I’ve been here I’ve never had issues with my creativity as I’ve always felt inspired. I don’t know what it would be like if I were living in London. 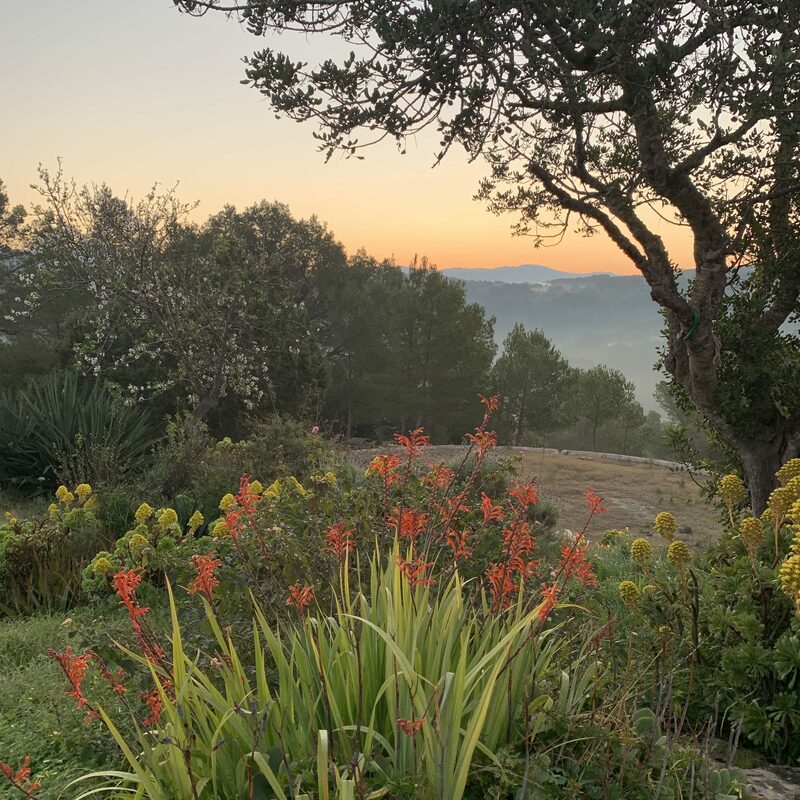 Maybe it would be different and more controlled, but I find it difficult to imagine how, as I’ve been living here for so long that living in Ibiza has become part of my creative process. Life here goes at such a good pace that I’m never rushed or stressed as I might have been living in a city. As a creative your mind is open to being imaginative. You walk out of your front door and you’re inspired by everything from the colours and shapes, the weather to the changing of the seasons – it’s not just grey skies. I wouldn’t be able to pinpoint exactly what is inspiring. It’s just the fulfilment that I feel about living here every day and absorbing the beauty of the island. I believe that the way my creativity is enhanced really shows in my work. However even in Ibiza I have deadlines to meet with the creation of new pieces every season. 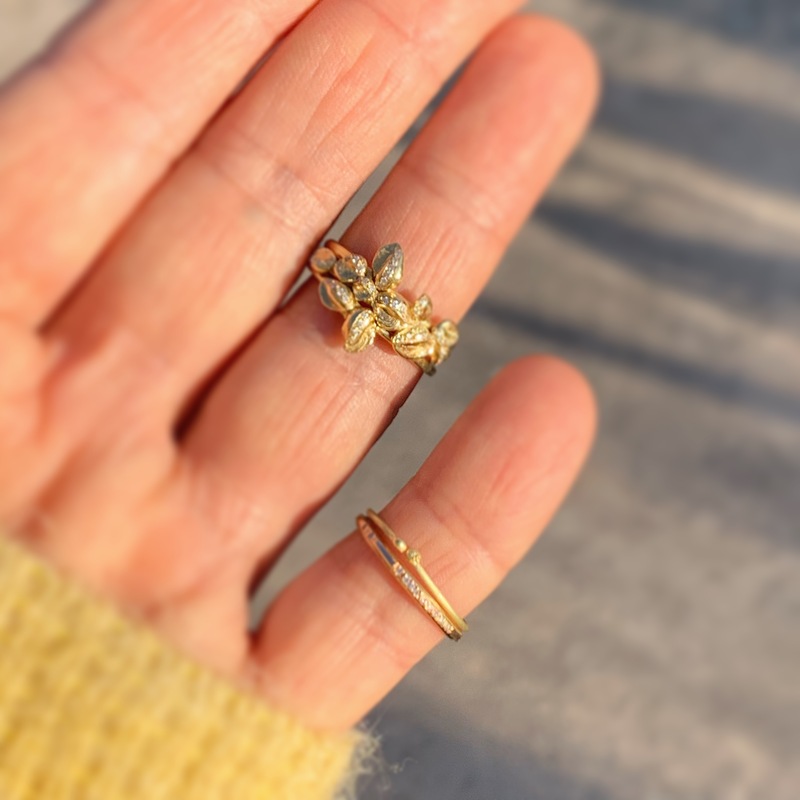 It’s important that my clients see that my collection is continuously growing and evolving which will make them want to add new gold nugget pieces to their collection. I’m so lucky to have the studio attached to the shop in a building of over 300 years, which is so authentic. It’s a destination store When customers come to my studio shop they are experiencing Ibiza and being part of the magic of the island. You definitely sense that Natasha Collis is all about being in a store with an Ibicencan heritage up in the middle of nowhere so that you feel that you’ve discovered me. 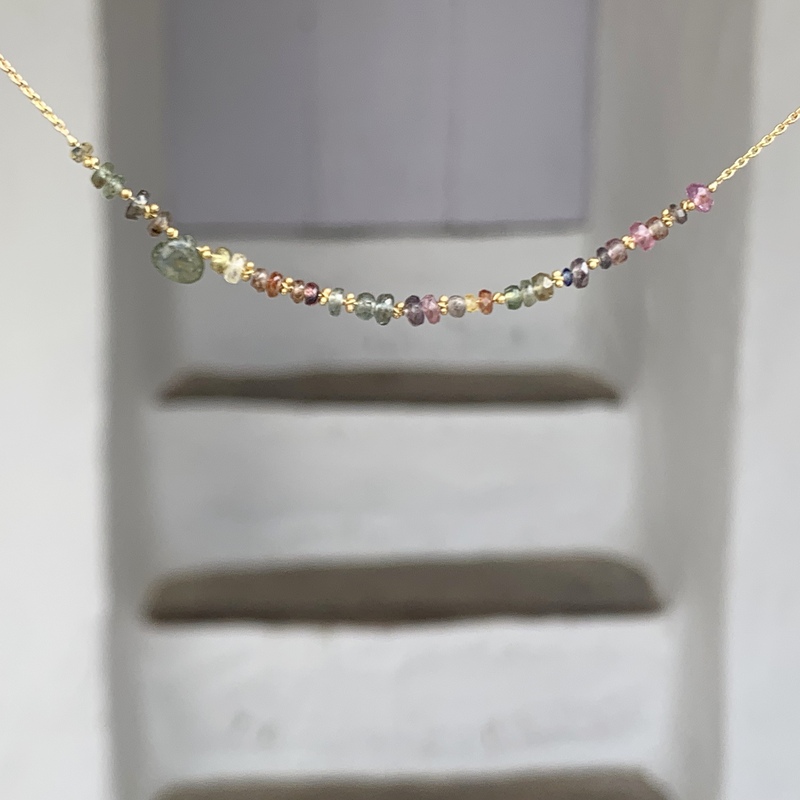 I consciously chose this space which is slightly away from everybody, but if you’re in the know you’ll want to come to my store and fall in love with my fine jewellery. Ibiza, which has become a vital part of my brand’s aesthetic, has transformed my brand. The building, the cabinets and the way my jewellery is displayed are part of the whole concept of my fine jewellery collection. Locals buy my work which is a sure sign of being accepted by the island. Many of my clients who have bought or ordered jewellery from me become friends. Every year you not only see the same faces again but new faces. Many surprising people come up to the store. Even those who’ve been living on the island or who have been coming on holiday for quite a time suddenly discover my work. I think it’s amazing if you’re on the other side of the world and you’ve been to Ibiza and have fallen in love with the island where you bought some of my jewellery. You want to buy something else on line because this new piece of jewellery you buy will evoke the spirit of Ibiza. 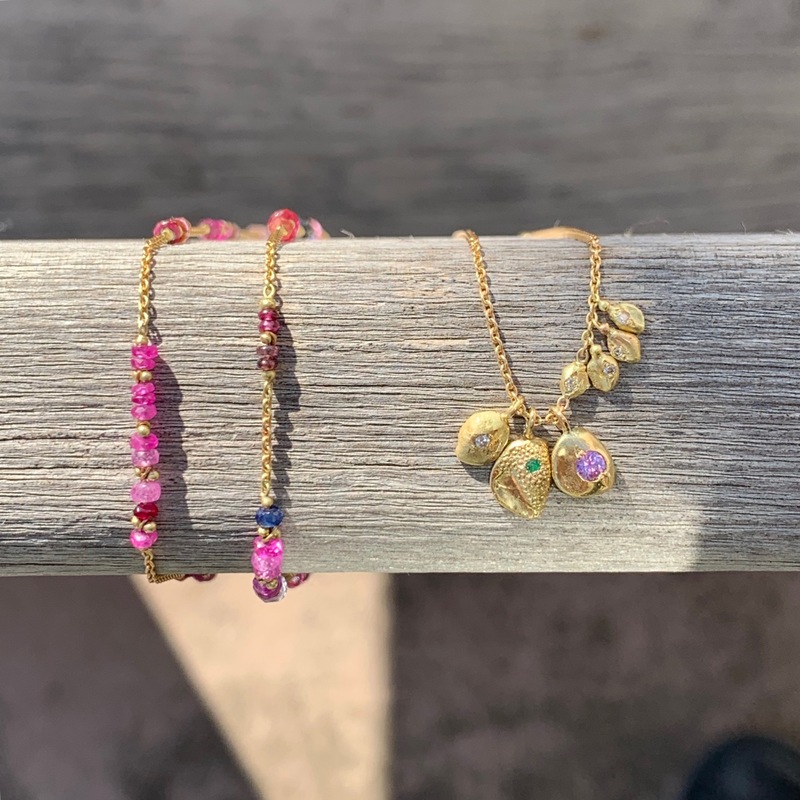 It’s very sentimental that they deliberately want something from Ibiza because they have fond memories of their holiday there and want a piece of my jewellery to remember it with. Other customers haven’t even been to Ibiza but they buy my jewellery because it has the soul of the island embedded in it. 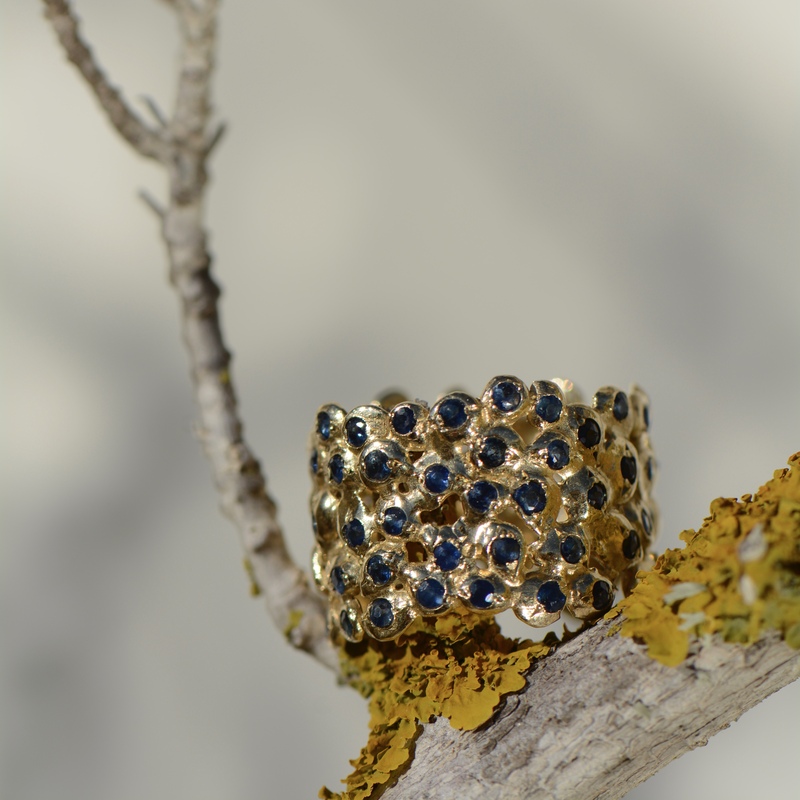 It’s so authentic to choose a unique piece of jewellery, that you know that Natasha and her team have put together, coming from her store on this special island. It’s the DNA of the brand which is capable of taking a part of that Ibiza dream across the seas. Ibiza has always been a such a desirable destination for thousands of travellers from all over the world. When I’m serving either clients who come back every year or new clients they really have that affinity to the fact that everything has been made in the workshop in Ibiza. Some people prefer to buy directly from the store because they so enjoy the whole experience of choosing something with me. It’s a good excuse to come and spend a few days in Ibiza! People who are on holiday in Ibiza every year come back and choose to add to their jewellery collection and only want it to be Natasha Collis. Ibiza is the most romantic location for weddings. Couples who have fallen for the Island often decide to marry here and prefer to have their wedding bands made in Ibiza. When they make an appointment to order bespoke wedding rings I offer a service. Coming to my shop is part of that authentic experience. I’m very present and give them my time. I like to make them feel part of the Natasha Collis family. I’m very warm, encouraging and open to their ideas. I do everything I can to make their dreams come true. In this day and age when everything is so mass produced I pride myself on the unique service I give. They come to meet the maker, they see that it’s made on the premises, choose the size and know they will have a one of a kind personalised design.